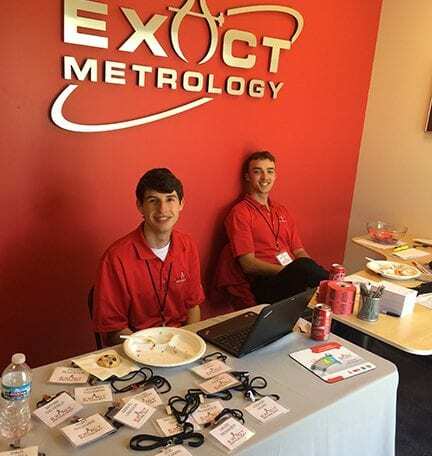 On May 23, 2017, Exact Metrology held an open house at its facility in Cincinnati and the event was attended by over 100 local area companies, comprising quality assessment, design engineering and management personnel from many of the leading manufacturers in the region. 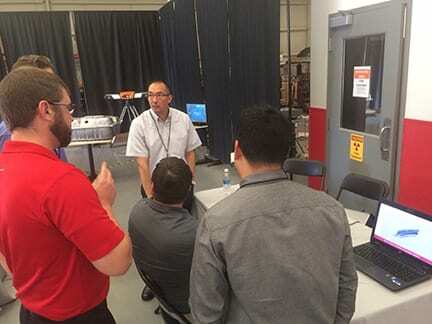 Hosted by company co-president Steve Young, the day included ongoing product demonstrations of the various metrology equipment brands offered for sale, lease and rental by Exact, as well as the testing procedures provided as a service by this unique metrology supplier. 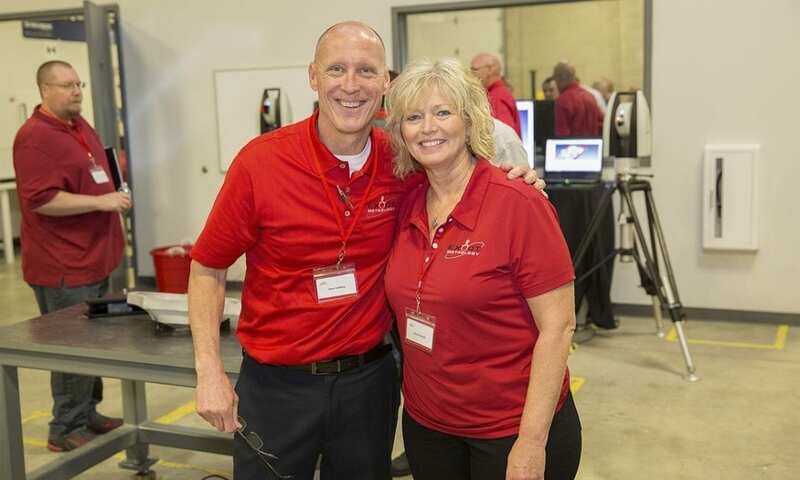 Highlight of the event was the company’s new partner, EnvisionTEC, a builder of 3D printing equipment for myriad industries, for whom Exact was recently named Midwest dealer. 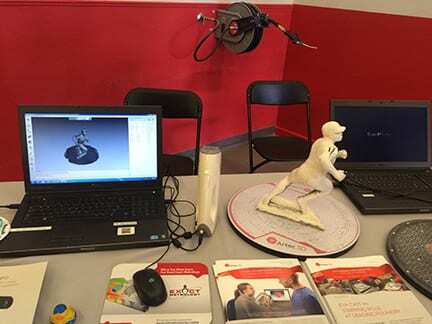 Also on display were a number of the other equipment lines represented by Exact, including Romer arms, GE CT scanning, Leica 3D imaging scanners and a variety of point cloud software advancements for the quality world. 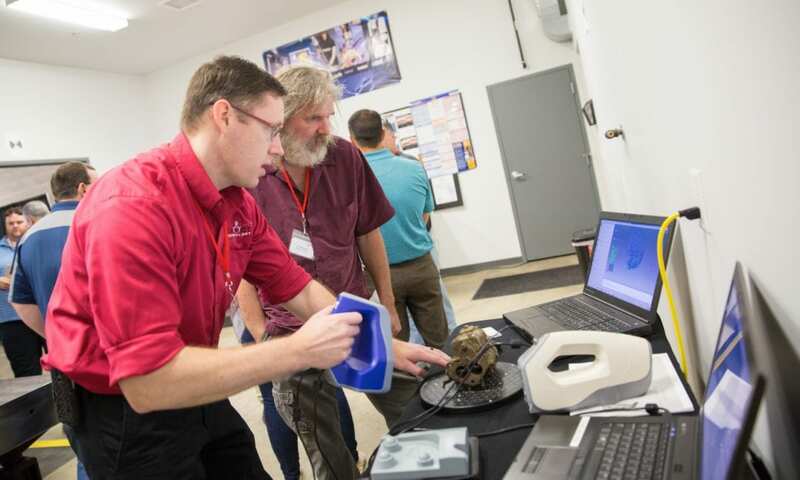 Services on display at the Cincinnati open house included 3D scanning, reverse engineering, quality inspection, instant scan-to-CAD comparison and a full suite of PolyWorks software solutions. 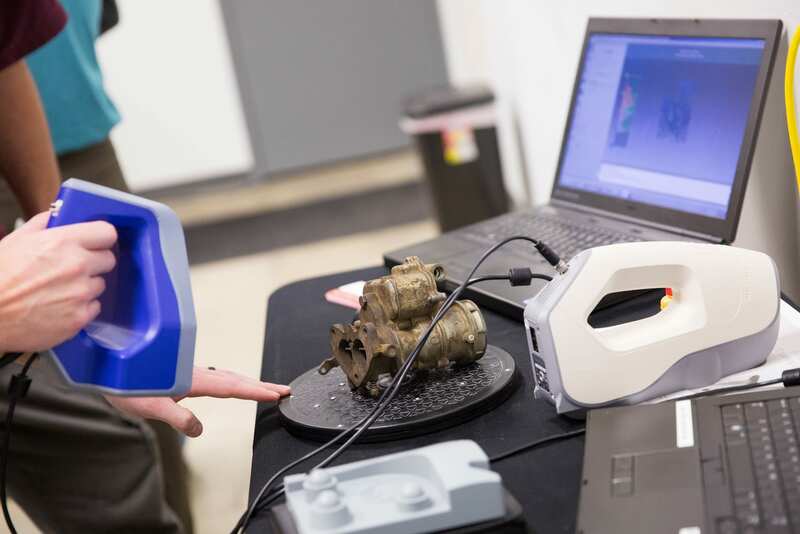 Equipment shown at the event included Aicon 3D systems, Breuckmann 3D scanners, Leica Geosystems, Romer and Hexagon brands of scanning devices and related hardware, all of which were available for hands-on use by event attendees. 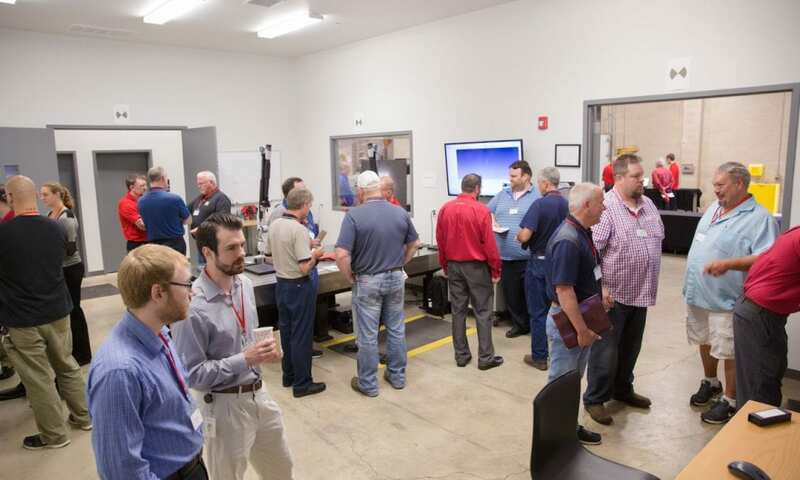 Company representatives from the various equipment lines, as well as Exact Metrology’s team of application engineering and testing specialists, were present for demonstrations and technical presentations, throughout the event. 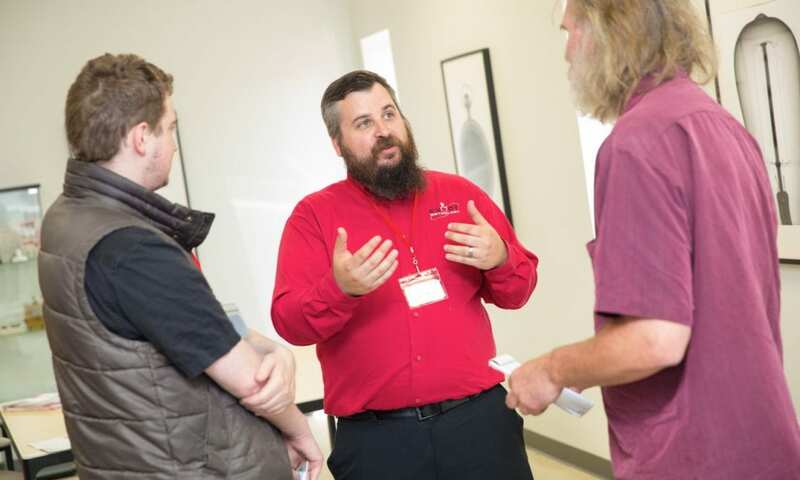 The EnvisionTEC line drew particular attention and Steve Young commented, “This new partner was a natural extension of our service work. 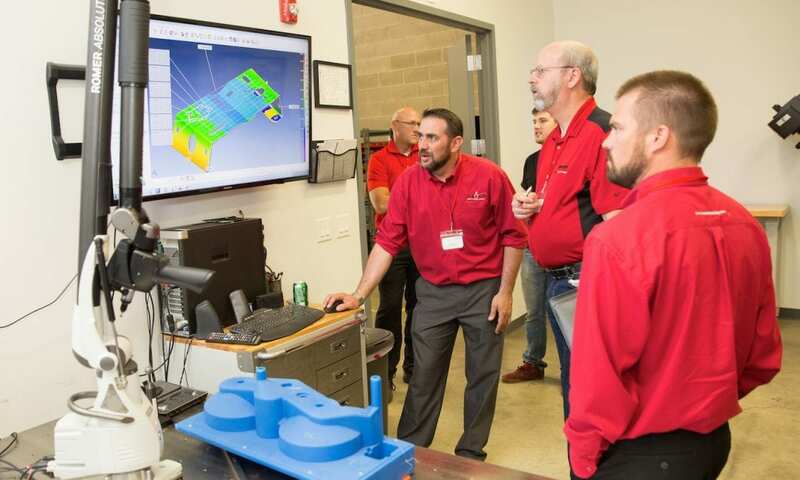 We do 3D scanning and were using a 3D printer, so we had that light bulb moment and decided to connect with a 3D printer builder to expand our equipment offerings.” Exact represents EnvisionTEC throughout the Midwest. 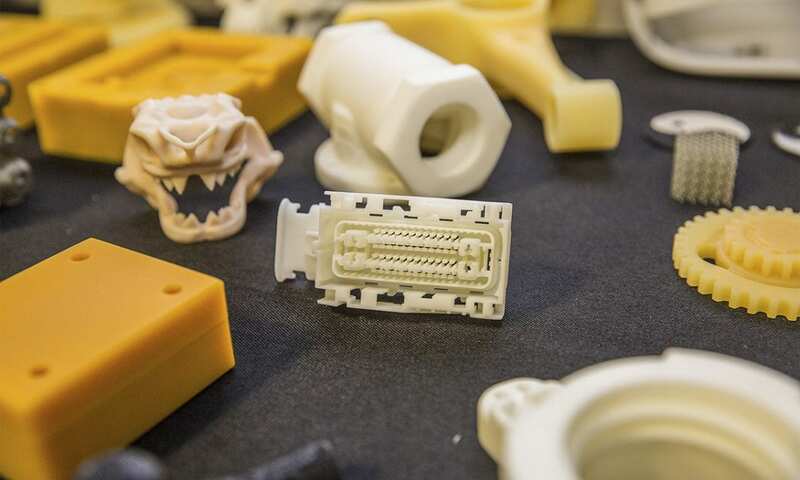 EnvisionTEC is a Detroit-based builder of various 3D printers for the medical, dental, jewelry and various industrial sectors, offering machines to produce parts up to 18” cube. As Steve Young further noted commented, “We constantly seek to find the optimum combination of equipment and services to suit the applications and challenges presented by our customers. In some cases, it’s a matter of matching the right standard equipment to the job, while at other times we bring custom solutions and services to our customers, whether they buy, lease or rent equipment or use our services to achieve the desired results on their metrology projects.” Young credited his staff of metrology engineers, technicians and customer service personnel for their hard work, dedication and adaptability in seeking the correct solution to all customer challenges. During the day, two big screen TV’s were raffled off to attendees, who also enjoyed a tasty pig roast luncheon. 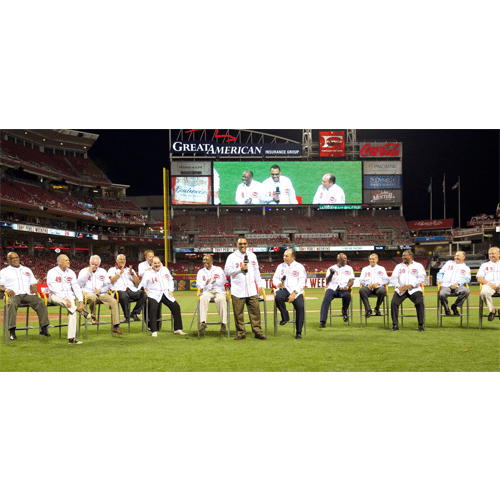 Exact serves both industrial and commercial concerns, ranging from heavy equipment, automotive and appliance companies to nuclear test facilities and even museums, who routinely use metrology to examine artwork such as paintings and sculpture. 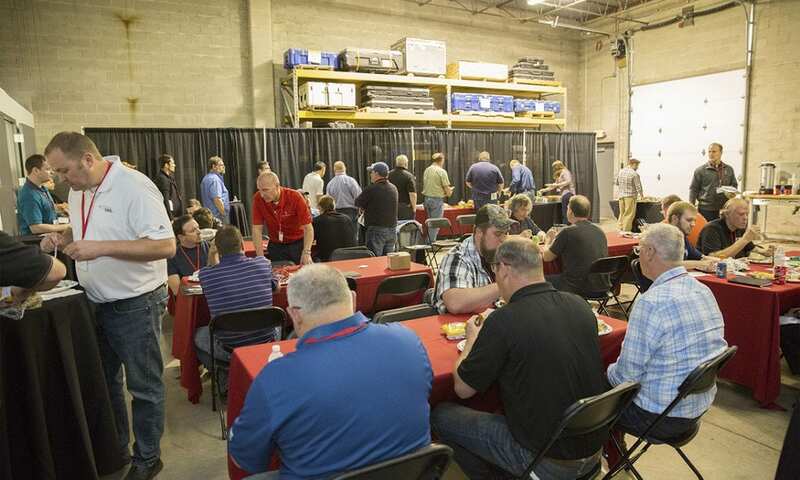 Subsequently, on May 25, Exact held an open house at its Brookfield, Wisconsin (outside Milwaukee) location. 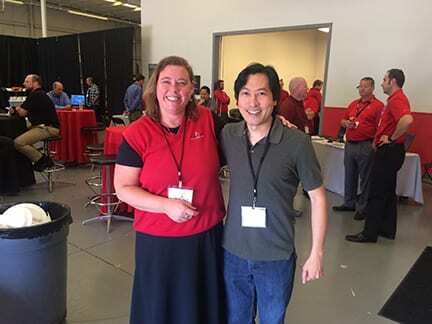 Attended by 70 companies in the area, the event was hosted by Exact Metrology co-president Dean Solberg in conjunction with Exact partners EnvisionTEC, Hexagon Metrology, PolyWorks, 3DSystems and ETI. 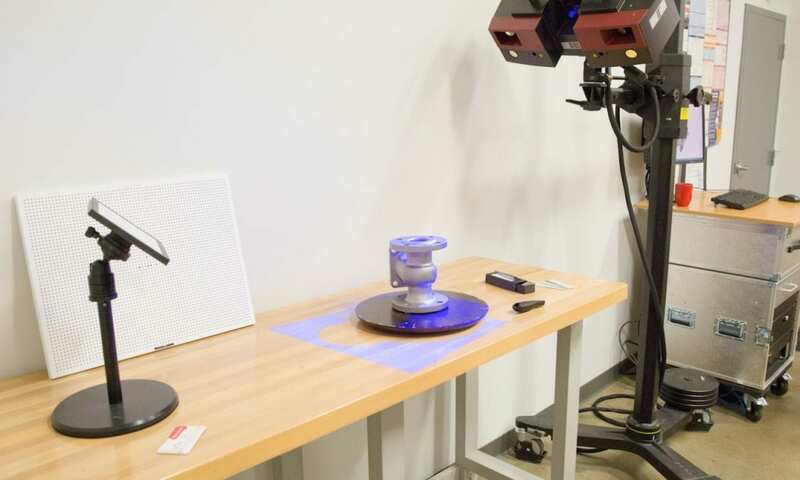 A variety of scanning equipment was demonstrated throughout two rooms in the facility. 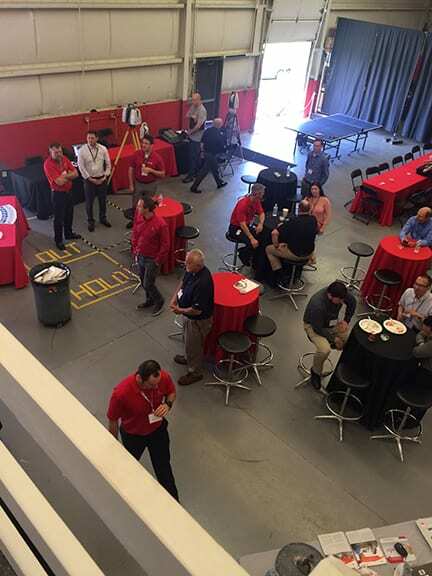 One highlight of the open house was the new Leica BLK360 Imaging Laser Scanner, a 360-degree scanner that allows high resolution scans for a full-dome in less than three minutes. 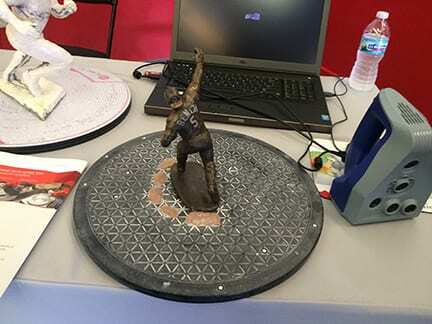 Other devices showcased included the Hexagon Metrology Romer Absolute Arm, several Artec3D scanners, the Surphaser 100HSX, several Leica long range scanners and the ProCon CT scanner. 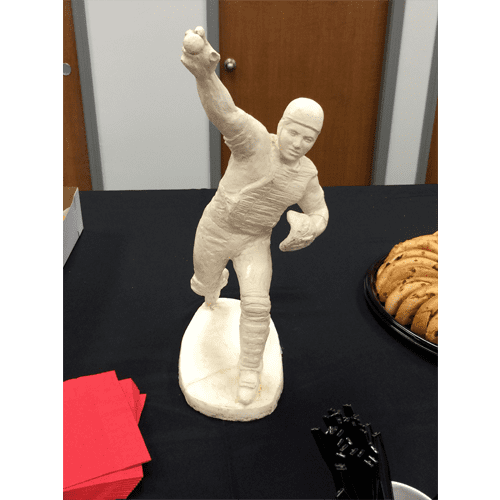 While demonstration pieces were available to scan, attendees were able to bring in their own parts to show live 3D scanning on the screen. 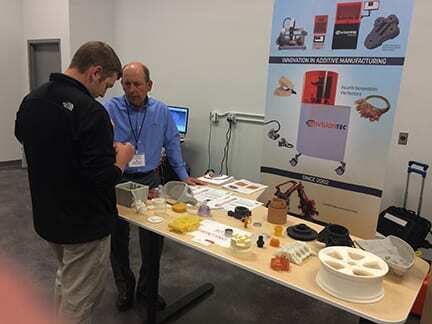 Also present at the open house was Exact Metrology’s new 3D printer partner, EnvisionTEC, Inc. High-precision, high-detailed models illustrated the 3D printing capabilities of the Detroit-based manufacturer. 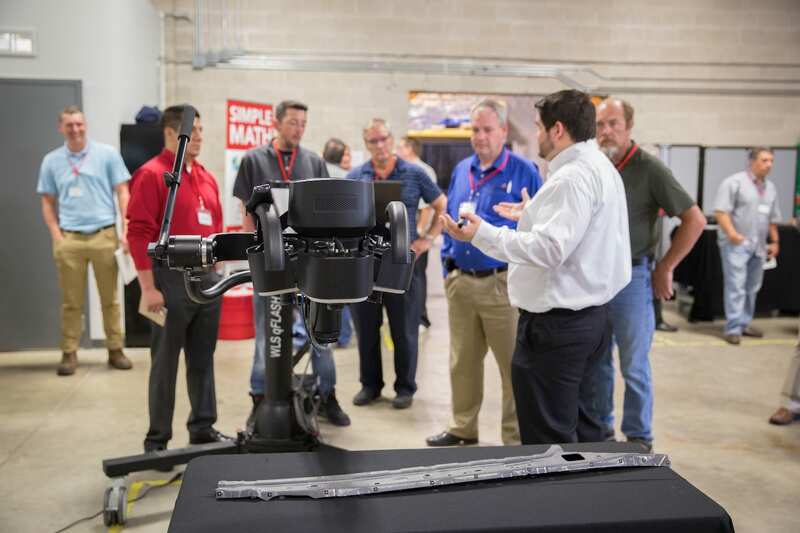 The Brookfield open house’s agenda consisted of four breakout sessions with experts in 3D metrology and scanning technology demonstrating their wealth of knowledge on the industry. The breakout sessions happened simultaneously during the day. During one presentation, Jason Reno of PolyWorks talked about what to expect in the industry for 2017. Another session was given by Dave Meyers, a Professor affiliated with Effective Training Inc. He instructed the audience on the use of GD&T Training (Geometric Dimensioning and Tolerancing). 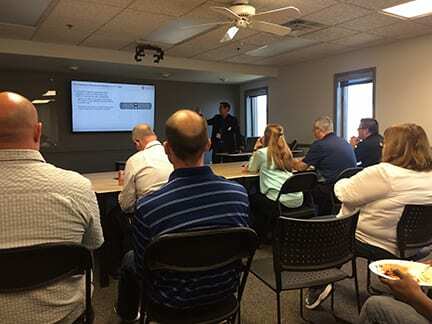 Greg George, Corey Mayeda and Mike Tsand from 3DSystems gave a discussion on 3DSystems Software: DesignX and Geomagic. 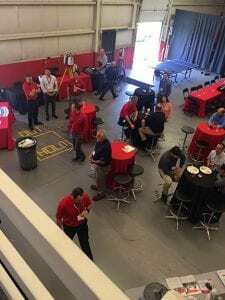 The guests enjoyed a full spread of delicious food for lunch and were given keepsakes such as mouse pads, pens, coffee mugs, and m&m’s, all with the Exact Metrology logo on them. 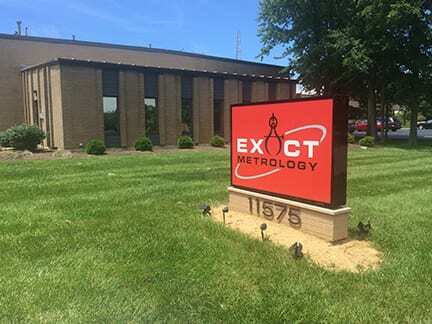 Effective immediately, Exact Metrology is now the greater Midwest dealer for EnvisionTEC, a Detroit-based manufacturer of 3D printers and materials. EnvisionTEC supplies machinery and materials to a variety of industries, including automotive, aerospace, appliance, jewelry and life sciences. The machine line spans a range from desktop models to units capable of producing 10 cubic foot objects from fiber and thermoplastic materials. The company also produces a full line of materials, including more than 70 proprietary formulations for specific customer requirements. Exact Metrology offers a complete line of portable scanning and measurement technologies, as well as contract measurement for 2D and 3D laser scanning services, reverse engineering services, non-contact inspection, metrology services, 3D digitizing and training, long-range scanning plus its CT scanning services, usable by all types of manufacturing, packaging and product integrity concerns, as well as civil engineering, architects and municipal infrastructure developers. 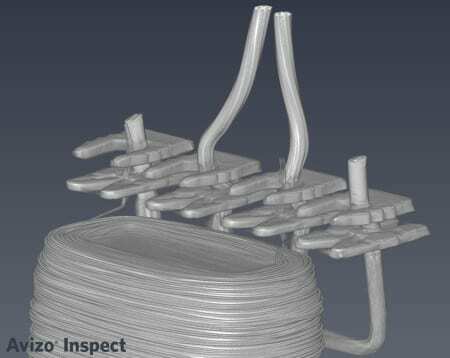 Exact Metrology, a leading supplier of 3D laser and CT scanning equipment and services details the steps to a successful airfoil evaluation. The scan can occur at the customer’s facility or at Exact Metrology’s. In many cases, it is most cost effective for the digitizing or scanning to take place at the Exact facility. However, in certain instances, when turnaround time is of great importance or downtime of the scanned component is critical, the scanner is mobile and available for onsite operation. 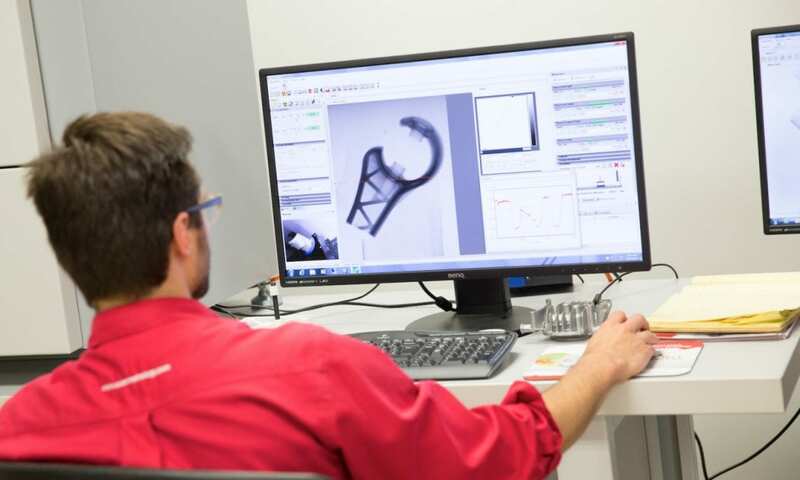 The airfoils that are typically provided by customers will be received by Exact Metrology for full documentation with photos, measurements and any surface markings or serial numbers recorded prior to any high definition scanning. The mobility of the Exact scanner allows a high degree of flexibility in performing onsite scans (Option A) at a customer facility or the more cost efficient in-house scan at the Exact facility (Option B). 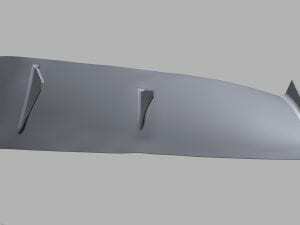 Due to the reflective nature of the blades, a thin coating of Magnaflux spray is applied. The SKD-S2 spray is a second phase of the crack checking processes. Phase 1 is a die penetrant that will not be used typically. The spray meets the requirements for AMS 2664, ASTM E165 and is ASME approved. (Health – 1, Flammability – 4, Reactivity -0, No Specific Hazard). See MSDS 0166 for more information on the SKD-S2 product. When scanning the blade, Exact uses a fixture device. Targets will also be used to constrain data during the alignment phase. Targets will be placed using magnets on either side of the air foil. The fixture itself will also act as an alignment constraint while holding the airfoil in place and allowing Exact technicians to capture maximum data on the part without moving or touching the part. A manual or automatic turntable may be used to allow enhanced scanning and registration access to the part. The part is positioned on the rotating table or on a stationary marble top and scanned from multiple perspectives. This procedure is repeated multiple times to provide complete coverage of the part. Known geometric objects, cubes and spheres are often placed in the scene for quality assurance and validation during the validation stage. The scanner used on these projects is a Breuckmann Stereo 3D Scanning system. This device uses a unique halogen structured white light projection system with dual 6.6 mega-pixel cameras. The scanner is the highest resolution scanner available on the market and was specially built for Exact Metrology in Germany. The registration process can be done with or without targets. Both registration methods have different techniques with similar results. Essentially, the targeting procedure uses an automated fitting of point clouds or scan worlds together, based upon three common positions on the part or scene. 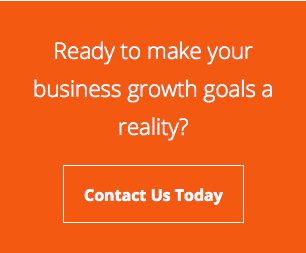 This process has been simplified with modern software technology. 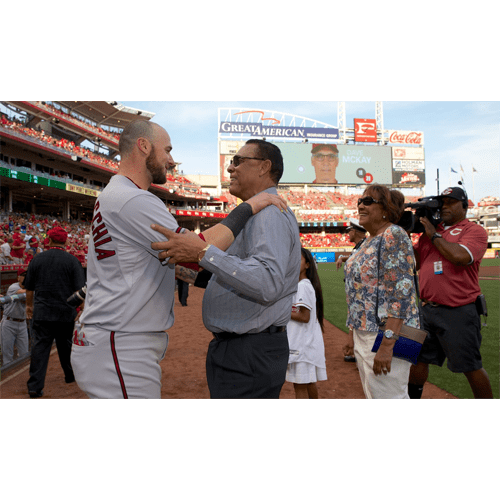 The software will then analyze every point with overlap and run a best fit algorithm over hundreds of iterations to find the tightest and best alignment. The result of this process will yield a fully registered and organized point cloud. It is important to verify the automated method with targeting and adding known geometric shapes to the scan. All scans are documented with notes, computer logging and digital photos accompanying the recorded scan setup within the software. A CD copy of all digital data is recorded prior to returning the part or teardown. Once the data is gathered and the registration process is complete, the point cloud or data set can now be worked. The first step is to triangulate or mesh the points together. As part of this early process, points are “intelligently” removed from the network by algorithms in the software. Essentially, the points of redundancy and overlap are decimated and averaged. This mesh is further manipulated by reducing the triangles and points along flatter areas and retaining more triangles in areas of curvature and complexity. This poly mesh can now be exported as a complete *.STL file or similar format. The process of fitting NURBs and geometry to the poly mesh or point cloud can be a time-consuming and arduous process. A surface is basically draped over the mesh and smoothed to be reflective of the actual part. Once this task is completed and a complete watertight object is created, the model is ready to be exported to nearly any format via various methods. The end file format is entirely up to the client and the limitations of existing conversion tools available today. A final 3D solid model can be provided as a “dumb solid” with no parametry or history tree as an imported object. The available formats include: Siemens NX, Pro/E Wildfire, AutoCAD, AutoCAD Inventor, SolidWorks, as well as generic formats such as IGES, STEP, ParaSolid (X_T) and others. The final deliverable is a parametric model. Unlike a solid model, the parametric model possesses relationships of all dimensions within the CAD. With these relationships, the CAD model can be manipulated and fine-tuned without disturbing the overall geometry of the part. 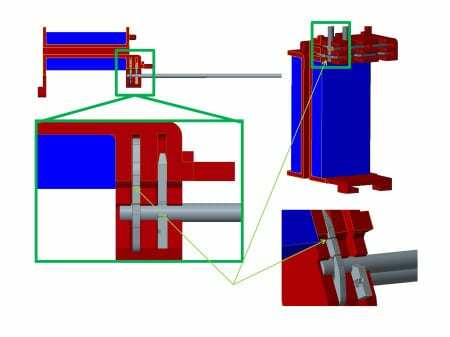 For this workpiece, the specific parameters of each cross section within the model can be independently modified without disturbing neighboring cross sections. The end result is a Pro/Engineer CAD model with known geometry that is fully adjustable and possesses a design history. 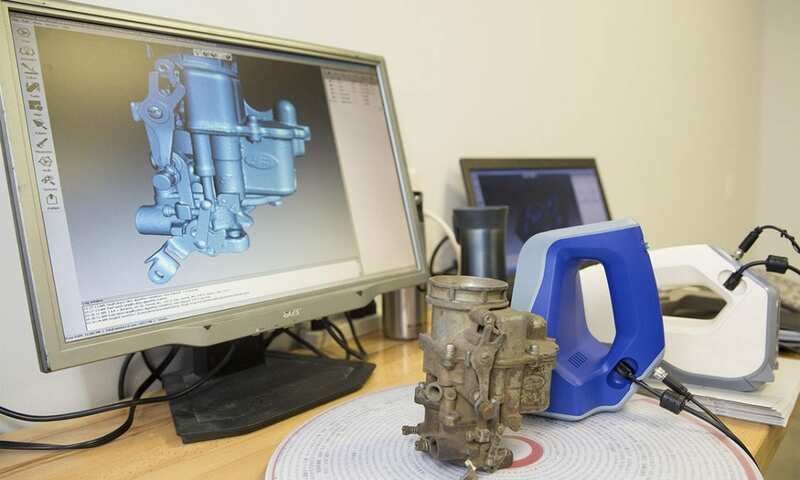 Exact Metrology offers a complete line of portable scanning and measurement technologies as well as contract measurement for 3D laser scanning services, reverse engineering services, non-contact inspection, metrology services, and 3D digitizing. The company’s newest equipment includes a CT Scanner, the first in America being used for metrology rather than medical testing. 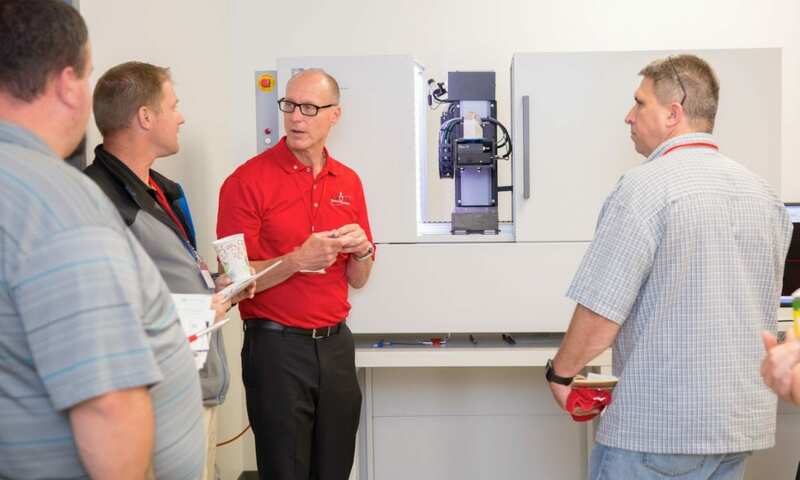 Exact sells and rents metrology equipment solutions, in addition to providing testing as a service and application software training. Benefits of implementing AS9100 include well defined and documented procedures to improve the consistency of output, quality is constantly measured, procedures ensure corrective action is taken whenever defects occur, reducied overall cost, appreciably lower defect rates and earlier detection, exposure to new markets and retention/increase of market share in existing sectors, internal operational efficiency and overall better process control and workflow. The company is also ISO9001:2008 certified. This is the only ISO standard that requires certification and is an internationally recognized Quality Management System that governs the sale and service of 3D non-contact and contact measuring equipment for inspection and reverse engineering in the commercial, aerospace, medical, automotive and industrial sectors. The ISO9001:2008 certification highlights the commitment, dedication and service Exact Metrology employs for customers. Exact is also certified by ITAR, the International Traffic Arms Regulation. 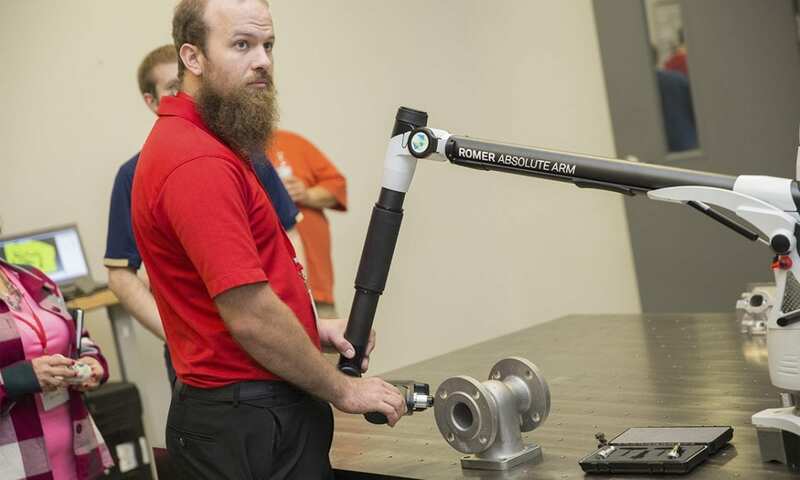 As a result, Exact Metrology has a competitive advantage when attracting and retaining defense business. Prime contractors are obligated to comply with ITAR requirements and these same requirements must be employed by subcontractors. Subcontractors such as Exact Metrology, who demonstrate compliance with ITAR standards, are clearly more desirable resources for prime contractors. Finally, being ITAR certified gives Exact Metrology the opportunity to do business with defense companies overseas, a growing market for the company currently. 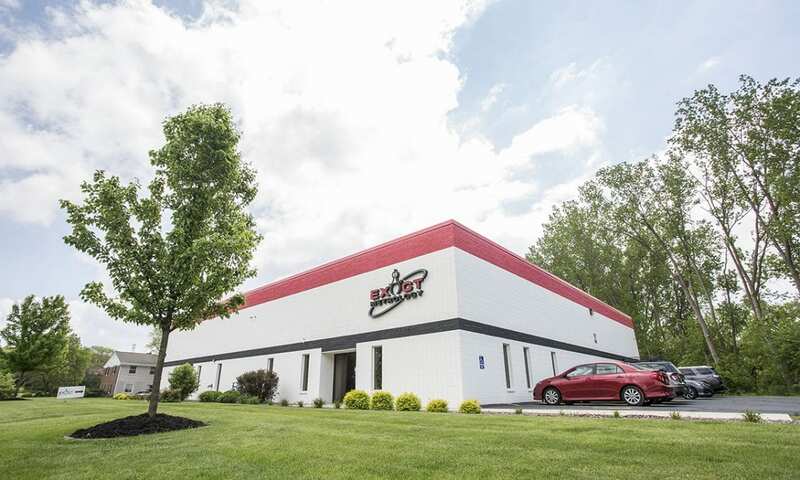 Exact Metrology also has a Federal Firearms License, giving them the ability to send and receive weapons for quality control and inspection. 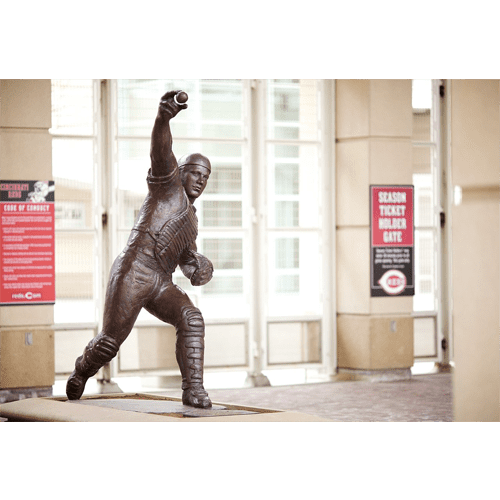 Cincinnati, Ohio is home to a rich baseball tradition and one young sculptor has combined his creativity with a new, high-performance image scanning technology to create statues for Great American Ballpark, home to the Cincinnati Reds. 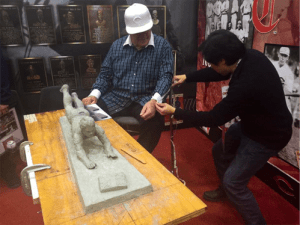 In preparing the statues, artist Tom Tsuchiya starts with an approximately 18” high ceramic model. 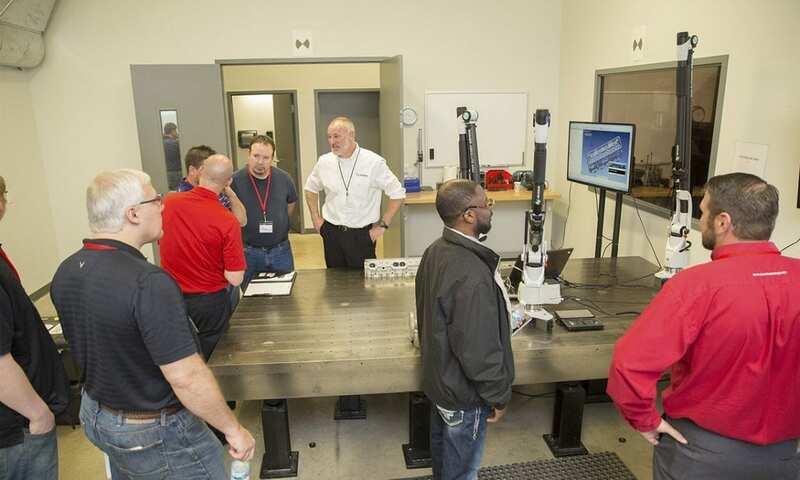 He then supplies the model to the technicians at Exact Metrology’s Cincinnati facility. Exact is a leading supplier of 3D and CT imaging equipment. 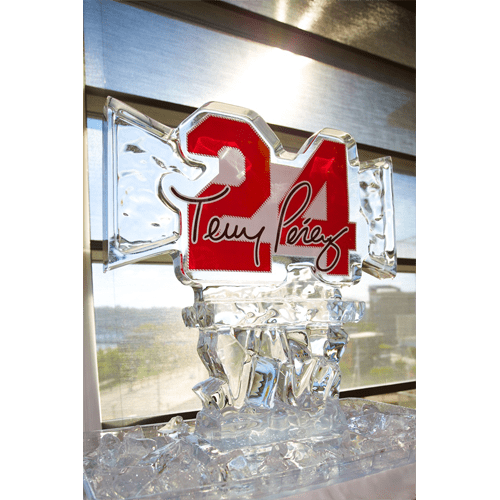 They also perform scanning services for numerous manufacturing industries, as well as a diverse assortment of civil engineering, fine arts, commercial and other concerns. Their subject projects recently included the Fermi Lab particle accelerator, the lions in front of the Chicago Art Institute, a construction site for materials consumption projection, a cross at Our Savior’s Lutheran Church in Hartland, Wisconsin, existing buildings for wiring and ductwork refurbishing, a painting for possible forgery, old sculptures for structural integrity and an actual crime scene for use in the investigation and courtroom proceedings. 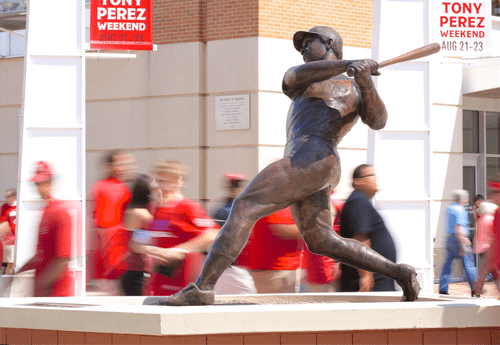 In this baseball scenario, the scan of the model is prepared as a high-density electronic file with over a million points of information per second captured on the geometry of the proposed statue. This file is then posted in the cloud and downloaded by a local foundry. The foundry takes the point data and prepares a mold for the statues, which often measure up to 8’ in height. 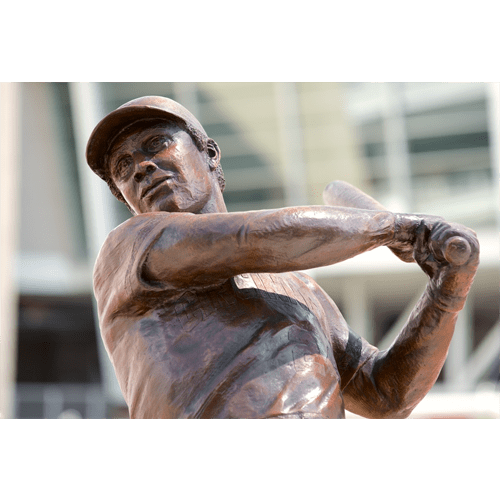 The brass is poured to produce a statue, then meticulously sculpted by Tom Tsuchiya into his final creation. 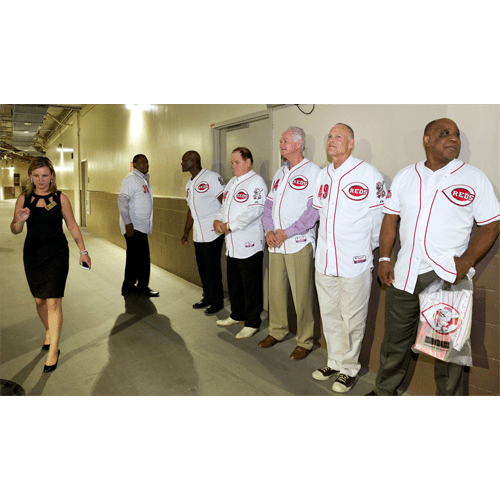 As the photos here attest, the statues and plaques made for Reds Hall of Famers Tony Perez, Johnny Bench and others evoked some strong emotions and memories. 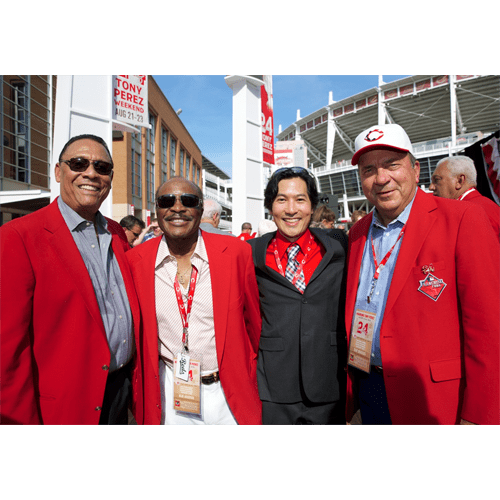 Co-Presidents at Exact, Steve Young and Dean Solberg, are big sports fans, so this project was truly a labor of love. 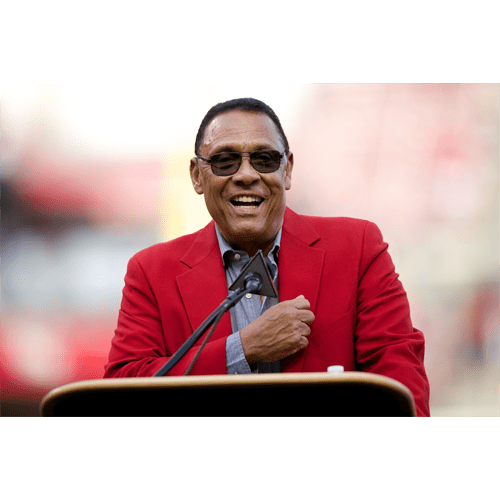 As Young, supervisor of the Cincinnati facility, explains, “We didn’t see a dry eye at the celebration for Tony Perez, a true gentleman and one of the brightest stars in a very crowded sky, that day.” Joining Perez for this momentous occasion were fellow teammates Johnny Bench, Pete Rose, Joe Morgan and other members from the famous “Big Red Machine” of the 1970’s.